The Masdar Institute could become a large-scale laboratory for a scientist developing a car battery he says will last longer than any other, for a fraction of the cost. Professor Yet-Ming Chiang, who recently discussed his work at Masdar's Distinguished Lecture Series, is making an energy storage device using an electrode material that is part liquid and part solid. 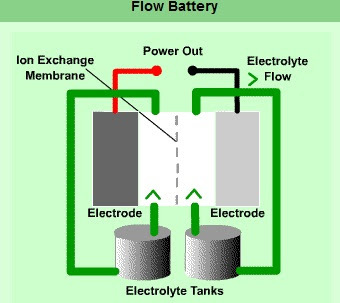 The finished product, combining the benefits of fuel cells and rechargeable flow batteries, could store large amounts of energy without requiring as much bulk as other batteries. This could cut costs by as much as 85 per cent, he says. Prof Chiang, who specialises in materials science and engineering, is affiliated with the Massachusetts Institute of Technology, the Masdar Institute's research partner. Prof Chiang is no newcomer to energy engineering. Last year, the Massachusetts-based company he founded, A123 Systems, built what he considers the world's highest-powered lithium ion battery, for use in Formula One race cars. The Kinetic Energy Recovery System (Kers), which makes use of the common mineral olivine, gave Lewis Hamilton wings at the opening race in Australia, putting McLaren-Mercedes in the top four after starting in 18th position. Kers recovers energy from the vehicle's brakes, storing it until the driver releases it back into the engine by pressing a button on the steering wheel. Now, as Prof Chiang designs a battery that he says could eventually help electric vehicles and hybrids dominate the roads, he sees a potential opportunity to test his product at the Masdar Institute's campus. The institute is currently running a pilot test of a pod-based personal rapid transit system, but plans to expand that system for what will eventually become Masdar City have recently been scrapped because it was too costly. Officials said they were looking at other options for battery-powered transport. "We have been talking about developing a new system to be integrated into Masdar's platform, and that includes looking at new ways of improving battery life and energy storage," said Alan Frost, the director of Masdar City. "I am always looking at where I can try out new technology, which is not small-scale and requires a large lab," Prof Chiang said. Current prototypes of Masdar's electric transit pods are equipped with lithium phosphate batteries, according to the Dutch firm 2getthere that was commissioned for the project. The semisolid material used in Prof Chiang's new battery is pumped through a power-generating stack similar to the type used in fuel cells. That reduces the need for additional mechanisms found inside a conventional battery, such as those used to support thin solid films of the same type of electrode materials. Fuel cells cannot be recharged without fuel and an oxidiser, and flow batteries are not practical for cars because they require complex packaging with pumps and sensors. "In a conventional battery, as much as 50 per cent is taken up by materials that do not store energy," he said. "Those inactive components increase the cost of the battery. There is so much room for improvements to be made to increase the amount of electrode that stores energy and decrease manufacturing costs." His proposed batteries would also be safer, he said, because the material that stores the energy is not very exposed to oxygen, reducing the chances of a rapid and violent reaction that would produce large amounts of hot gas. That reduces the risk of overheating and explosion. It will take time before his batteries can be tested, and Prof Chiang expects it to be years before they go on sale. In the meantime, he will be interested to see how else Masdar could benefit his research. "We will see what is happening, to see if there are other areas to collaborate on energy storage," he said. "Just looking at everything that Abu Dhabi is doing in terms of renewable energy will make it interesting to see how it contributes to rapid advancements in electric transportation."